A 35-year-old Stormville woman suffered serious injuries Tuesday afternoon when attacked by three large dogs at a private residence off Route 301 at Smokey Hollow Court in Kent. 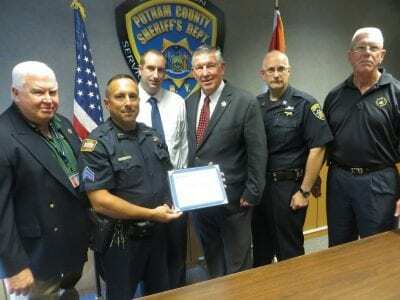 Kent Police Chief Alex DiVernieri said Officers Sean Benson and Dan Hu… Please login below or purchase a subscription to the Putnam County Courier to access this content. 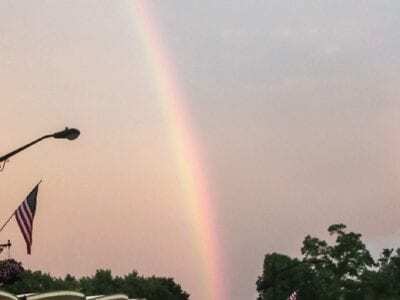 Monday’s searing temperatures neared the century mark when, at 1:30 p.m., the mercury topped out at 97 degrees, before a rapidly moving storm turned day into night and the mercury dropped 20 degrees within a half hour. Torrential downpou… Please login below or purchase a subscription to the Putnam County Courier to access this content. 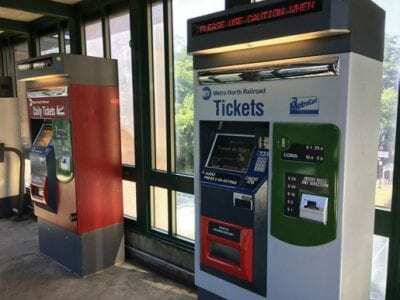 Poorly maintained, bank-owned foreclosed homes and zombie properties are costing Putnam taxpayers $1.23 million in property value depreciation each year, with the greater Carmel Mahopac area leading the way across the county with 39 zombie propertie… Please login below or purchase a subscription to the Putnam County Courier to access this content. Police officers accompany the hearse through downtown Carmel. It was standing room only inside St. James Church in Carmel Friday when hundreds of mourners paid their respects to James O’Neill. 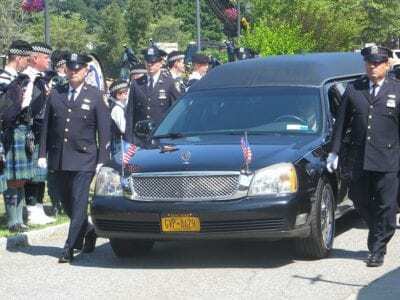 Retired NYPD Sergeant Supervisor James O’Neill died sudde… Please login below or purchase a subscription to the Putnam County Courier to access this content. 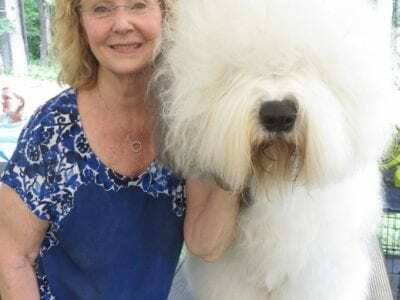 ‘Jagger’, an Old English Sheep dog, is a gentle giant. Roberta Corbett of Carmel described the pooch as “America’s best.” The Putnam Veterans Memorial Park became a haven for dogs last weekend when the Putnam Kennel Club… Please login below or purchase a subscription to the Putnam County Courier to access this content. 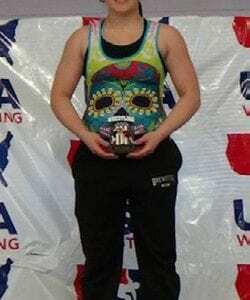 Brooke Pagan On July 16 – 23 in Fargo, N.D., Brooke Pagan, a senior from Brewster High School, competed in the Women’s National Freestyle Wrestling tournament. Brooke is the only female from Putnam County on the New York team. Brooke earned All Ameri… Please login below or purchase a subscription to the Putnam County Courier to access this content. 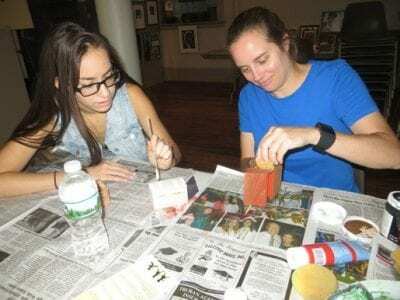 Briana Cravo, 14 of Carmel works with Southeast Museum Executive Director Amy Campanaro in designing handcrafted jewelry boxes. Treasures were on the minds of those attending Saturday’s Cultural Arts Series at the Southeast Museum. Instructor N… Please login below or purchase a subscription to the Putnam County Courier to access this content. To the Editor: Putnam County is in the planning stage to build a number of much needed cell towers throughout Putnam County to enhance communications for emergency services. This is to eliminate most of the dead zones throughout the county so that a… Please login below or purchase a subscription to the Putnam County Courier to access this content.